This 58.3 acre (approx) parcel of land is productive and fertile country, with the Coldstream River forming the boundary at the Northern side of the property. Being that it is near the headwaters of the Coldstream, during a dry spell, the river will sometimes recede to being just waterholes, however, a large lagoon on the property provides permanent water. Please note this land is susceptible to intermittent flooding, and there are no flood-free areas, so livestock need to be moved off the property during flood times. There is a current dwelling entitlement associated with the property, however it will be permanently extinguished unless a development application is for consent before 23 December 2021. Purchasers should be mindful that if a house was to be constructed on the land, it would need to be above flood height. 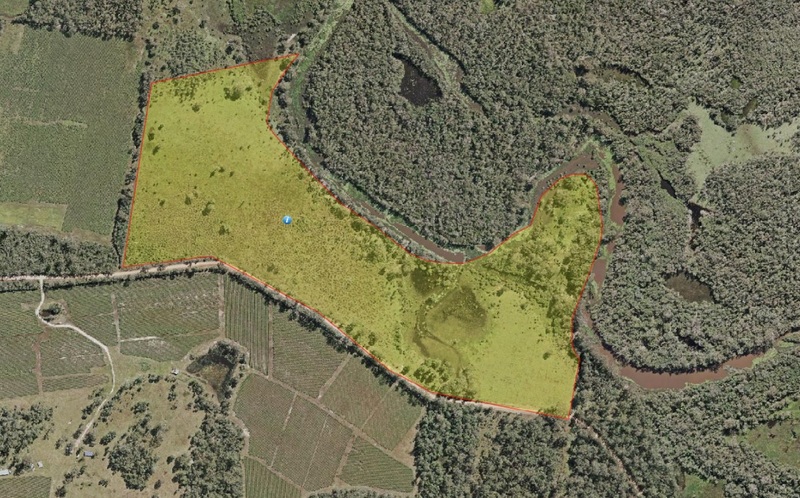 The property is located on Wants Lane, just off the Wooli Road at Glenugie, approximately 34km from Grafton. There is sealed bitumen access from Grafton to Wants Lane, and Wants Lane is a council maintained gravel road. There is an old set of timber stockyards on the property, which are in need of some repair. Fencing overall is in basic condition and there are two paddocks on the property. It is also important to note the location of the New Pacific Highway in close proximity to this property (please see maps for further details). This property is identified as Lot 2 in DP 1196193.